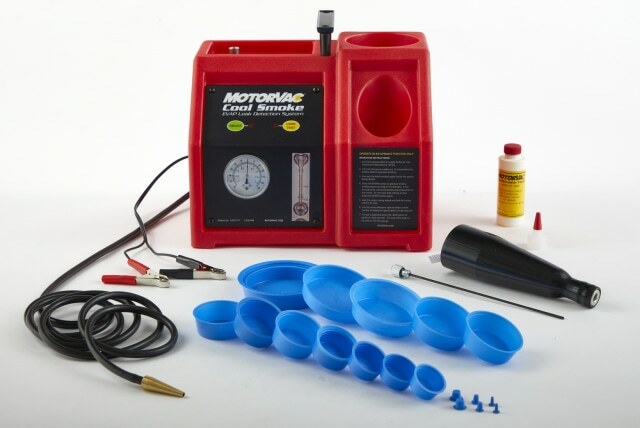 The next generation of diagnostic leak detection for forced induction gasoline and diesel engines. Advanced 3.5 inch multicolor digital LCD display, integrated software and Bluetooth® capability. Smoke is produced without heat, making it safe, reliable and energy efficient. Multiple languages and units of measure. 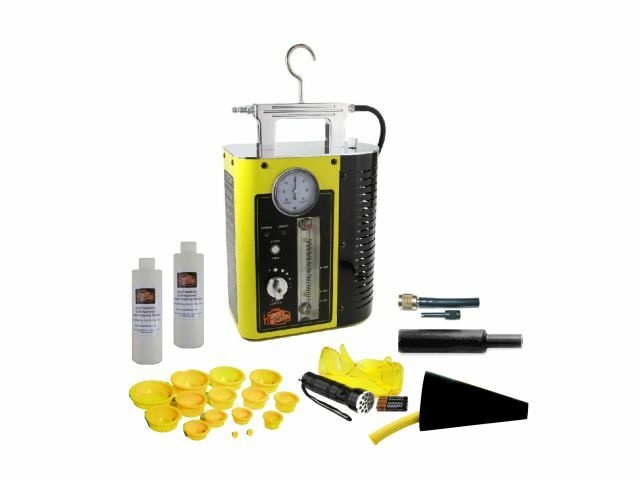 The Vacutec® WV605 Diagnostic Smoke® Machine is an advanced leak detection device for finding low-pressure leaks with smoke and UltraTraceUV®. The unit features a highly-accurate flow meter that measures leak size. OEM-approved. 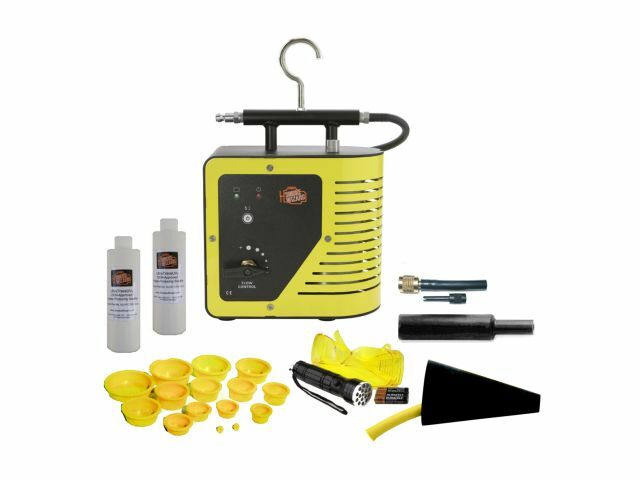 The Vacutec® WV604 Diagnostic Smoke® Machine is an simple leak detection device for finding leaks with smoke and UltraTraceUV®. One-button operation for EVAP and general purpose use. OEM-approved technology. The advanced Smoke Wizard® GLD40 combines pressure and vacuum leak measurement for Evaporative Emission (EVAP) and general purpose leak detection in a compact design. 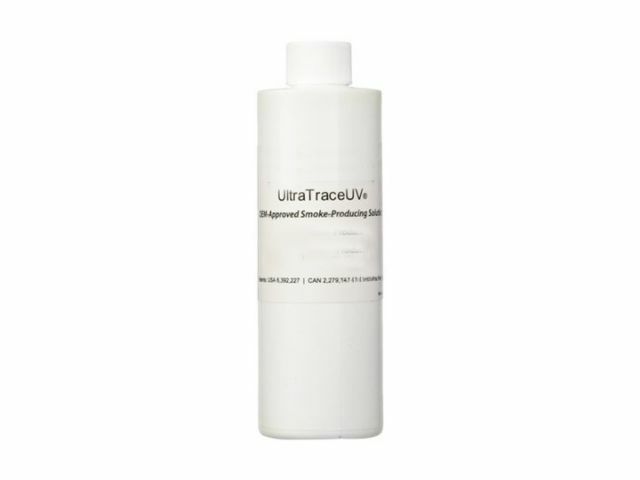 Uses automotive system safe, OEM-approved UltraTraceUV®. The Smoke Wizard® GLD-50 is smaller, lighter, and more portable than most any smoke machine on the market. Perfect for when all that's needed is smoke and dye leak detection. 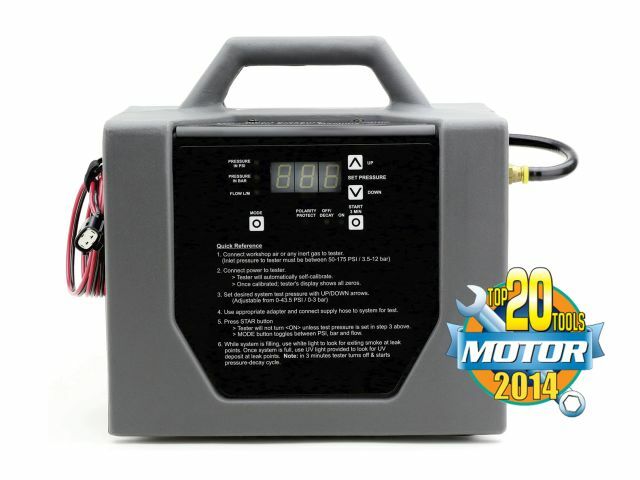 Uses automotive system safe, OEM-approved UltraTraceUV®. 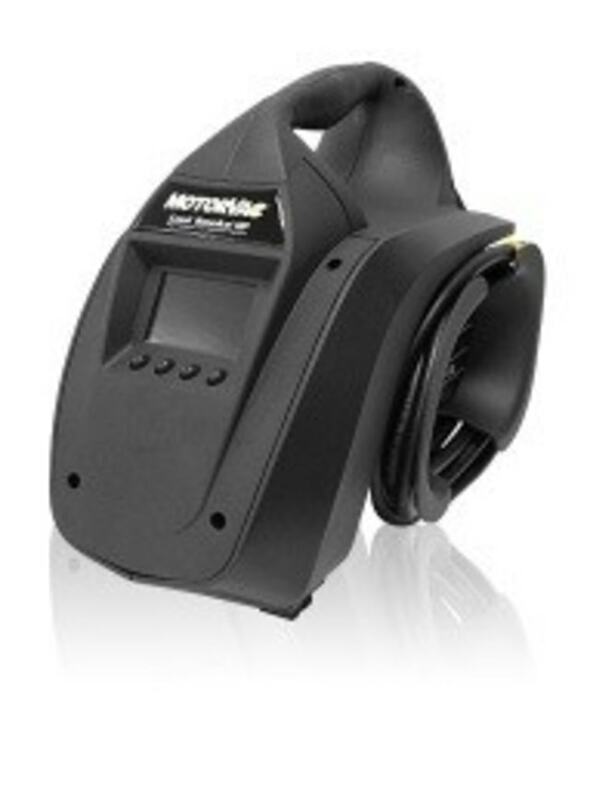 The MotorVac® Cool Smoke features dual mode leak detection: test for leaks with or without smoke at the push of a button. 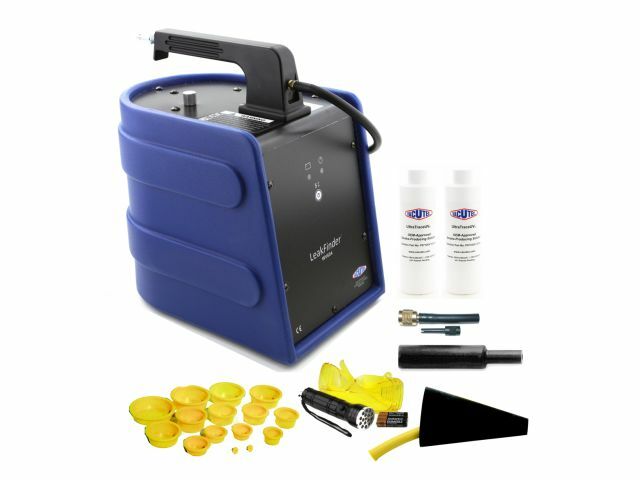 Pressure and vacuum leak diagnostics with instant smoke vapor with UV enhanced dye. Test Evaporative Emissions (EVAP) systems and more. 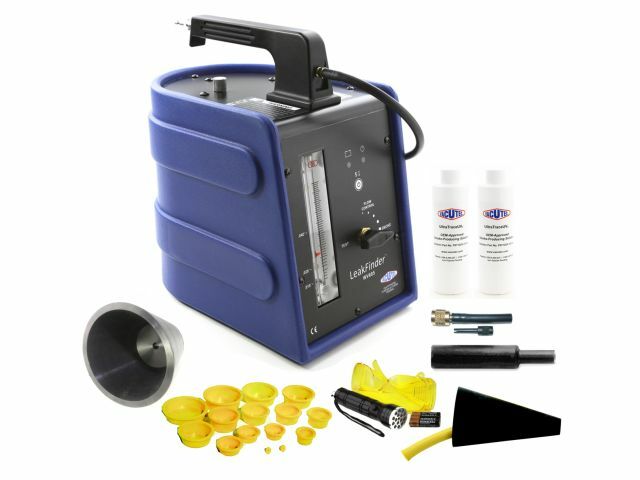 The Vacutec® Smart Pressure® Diagnostic Smoke® Machine is designed exclusively for high-pressure turbo system leak detection and heavy-duty applications. Features award-winning, OEM-approved technology. Wireless remote included. Non-contaminating, OEM-approved UltraTraceUV Smoke Solution uses patented formula to pin-point leaks faster than any other leak detection smoke fluid. CoolSmoke Fluid with UV Dye pin-points leaks faster and more accurately than non-dye methods. 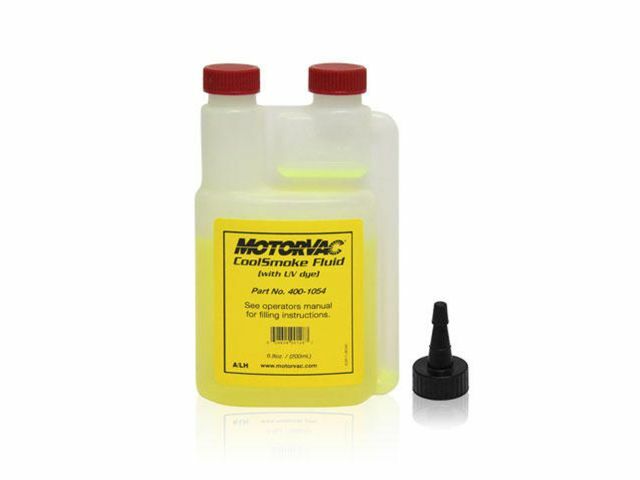 Designed for use with the MotorVac Cool Smoke System. Automotive system safe and environmentally friendly. The award-winning Pop-it Capless Adapter fits new double-door capless fuel necks. 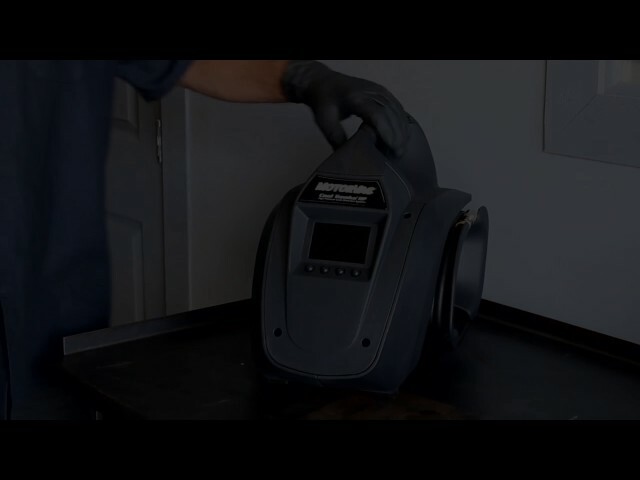 Simply pop it on, twist to seal and connect any Diagnostic Smoke® Machine or leak detection device. 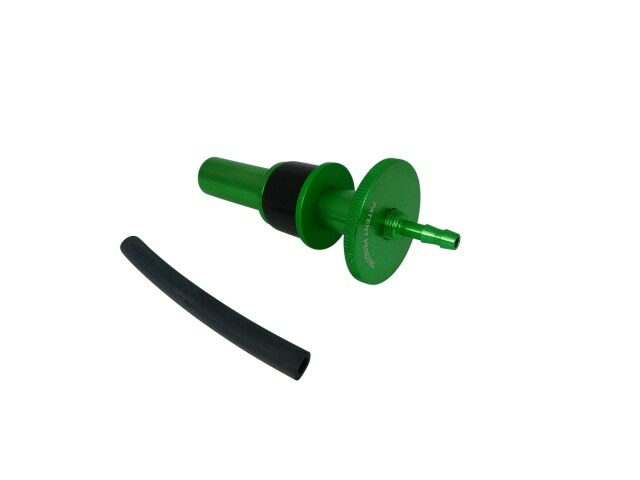 The reusable Smoke Wizard Pop-it Universal Fuel Cap Adapter does away with the cost and waste of disposable seals. Made of a fuel-resistant substrate, it won’t crack or breakdown.